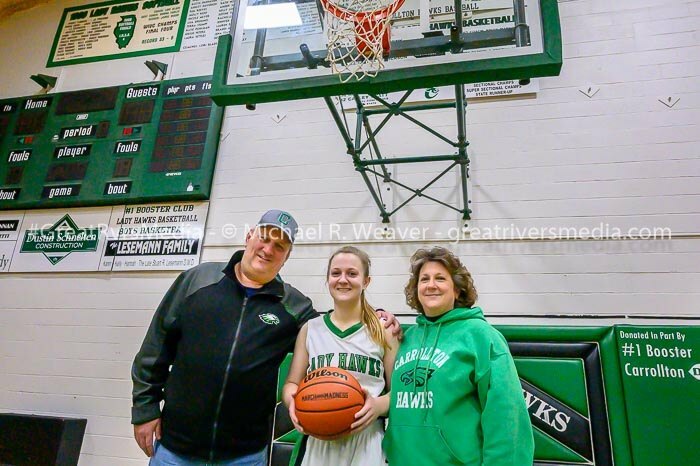 CARROLLTON - Hannah Krumwiede added to another of her family’s special moments in the Carrollton High gym on Monday night, cracking the 1,500-point mark. When she hit the basket for 1,500, the game was stopped and everyone stood on their feet clapping. Hannah carries a perfect 4.0 grade-point average on a 4.0 scale and her father said he couldn’t be more proud of that. 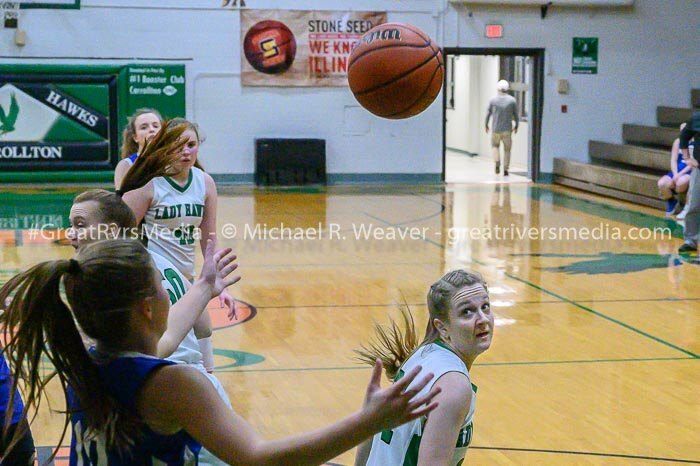 Hannah said she is considering an accounting major in college and hasn’t yet decided where she is going to school or whether she will play basketball or softball or both. “I want to play a sport of some sort in college,” the three-sport Carrollton star said. She also was a key member of the Lady Hawks’ volleyball team. Hannah’s mother said her daughter is exciting to watch.